Superdry women's Croyde cable beanie. This beanie features a cable knit design, bobble top and a turned up, ribbed hem. 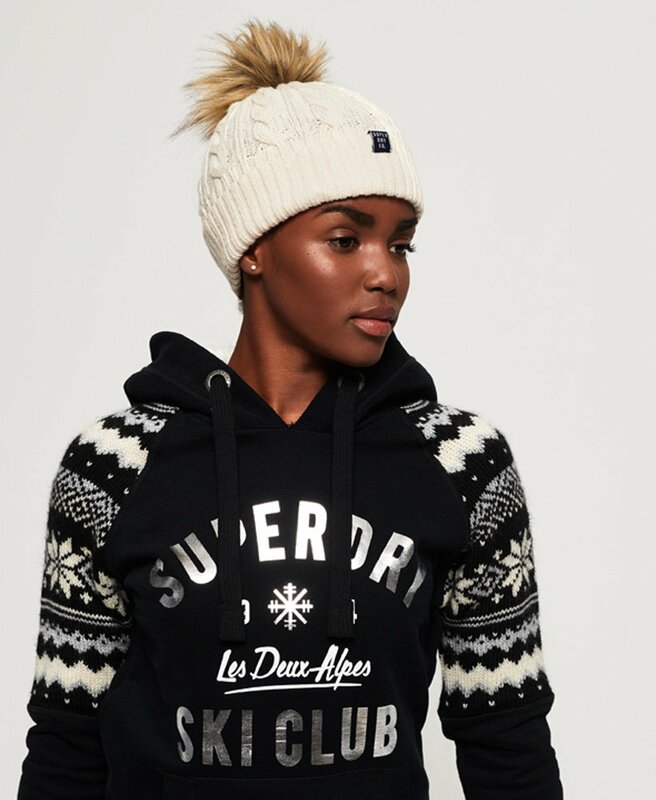 The Croyde cable beanie is completed with a Superdry logo tab. Complete your wardrobe with this essential accessory.